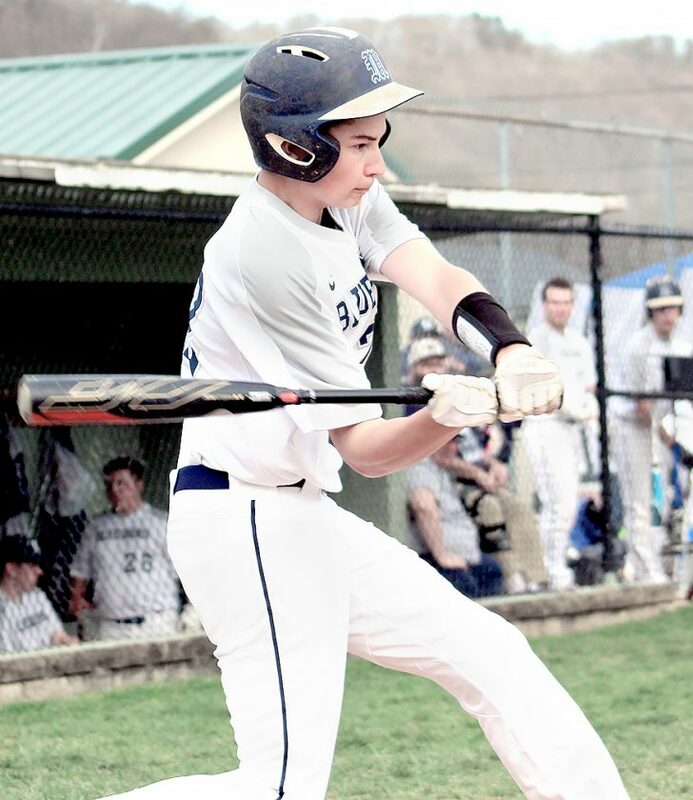 WEIRTON — Madonna freshman Matt Amaismeier has shined for the baseball team throughout the first half of this season. While working his way to batting leadoff in recent weeks, it was his arm that shined the brightest on Saturday. During the Blue Dons’ doubleheader sweep of Valley, Amaismeier threw a five-inning perfect game in the opener. Amaismeier struck out 10 of the 15 batters he faced during his squad’s 24-0 victory. In that first game, Madonna (10-12) scored eight times in the first inning and 14 in the second. In the finale, which Madonna won 19-1, it scored 11 times in the opening frame and eight in the fourth. Offensively, Luke Beatty finished the day with four singles, a double and eight RBIs combined. Dom Mazur had a pair of doubles, singles and four runs batted in. Gavin Dietrich produced two doubles, three singles, three walks and an RBI. Christian Ridgway had four singles and four RBIs. The Blue Dons will host Catholic Central on Monday, with a start time of around 7 p.m. That game with begin shortly after Weir High finishes its at 5 p.m.
VALLEY: Anderson (lp, 1IP, 8R (2ER), 3H, 8BB, 0K), Hall (3IP, 16R (2ER), 17H, 2BB, 2K) and Bassett. MADONNA (9-12): Amaismeier (wp, CG, 0BB, 10K) and Beatty. TWO OR MORE HITS: Valley none; Madonna (Dietrich 2, Beatty 3, Mazur 3, Ridgway 2, Brncic 3, Rowing 2, Gray 2). DOUBLES: Valley none; Madonna 6 (Rowing, Brncic 3, Gray, Mazur). TRIPLES: none. HOME RUNS: none. RBIs: Valley none; Madonna (Ditrich, Beatty 6, Mazur 4, Ridgway 2, Brncic, Rowing 2, Gray 2, Austin). VALLEY: Hall (lp, 1IP, 11R (9ER), 9H, 2BB, 1K), Bassett (2 2/3IP, 6R (0ER), 2H, 1BB, 2K), Morris (1/3IP, 2R (1ER), 1H, 2BB, 0K) and Bassett, Campbell (2). MADONNA (10-12): McKay (wp, CG, 1R, 3H, 1BB, 8K) and Brncic. TWO OR MORE HITS: Valley none; Madonna (Amaismeier 2, Dietrich 2, Beatty 2, Ridgway 2). DOUBLES: Valley none; Madonna 4 (Dietrich 2, Beatty, Mazur). TRIPLES: none. HOME RUNS: Valley 1 (Sotterfield); Madonna none. RBIs: Valley (Sotterfield); Madonna (Amaismeier, Dietrich 2, Beatty 2, Mazur 2, Ridgway 2, Brncic, Gray, Elias 3). 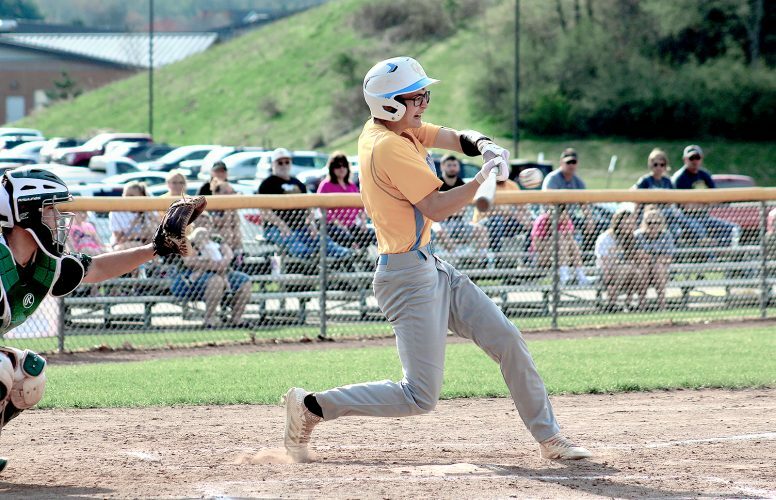 RICHMOND — Brennan Scott lifted the Edison baseball team with a walk-off single to lift his team to a 5-4 victory over South Range on Saturday. The Wildcats travel to Steubenville to face Big Red on Tuesday. SOUTH RANGE: Mikos (5IP, 4R, 7H, 4BB, 4K), Shannon (lp, 1 1/3IP, 1R, 2H, 1BB, 1K) and Pancake. EDISON (9-1): Ash (wp, CG, 4R (2ER), 7H, 5BB, 3K) and Gump. TWO OR MORE HITS: South Range (Pancake 2, Bajerski 2, Rivera 2); Edison (Ash 2, Scott 2). DOUBLES: South Range none; Edison 1 (Kinney). TRIPLES: South Range none; Edison 2 (McBane, Sinicropi). HOME RUNS: none. RBIs: South Range (Rivera 2, Anderson 1); Edison (Higgs 2, Ash, Kinney, Scott). TORONTO — The Toronto baseball battled its way back to send Saturday’s game into extra frames, but it ultimately fell, 5-4, in eight innings against Union Local. Kobe Herrick started for the Red Knights (8-4). He walked a pair and struck out four in four innings. Tristan Thomas pitched the last four frames and took the loss, walking three and striking out four in the process. Offensively, Nate Karaffa blasted a solo home run. Nick Chetock tallied three singles and an RBI. A.J. Clegg doubled, while Zac Berger added a pair of singles. Toronto hosts Lisbon on Monday. UNION LOCAL: Hess (wp, 7IP, 3R, 6H, 4BB, 4K), Smolira (sv, 1IP, 1R, 3H, 1BB, 0K) and McCort. TORONTO (8-4): Herrick (4IP, 3R, 7H, 2BB, 4K), Thomas (lp, 2R, 6H, 3BB, 4K) and Gulczynski. TWO OR MORE HITS: Union Local (McCort 2, Morrison 3, Smolira 2, Kildow 3); Toronto (Chetock 3, Berger 2). DOUBLES: Union Local 1 (Smollira); Toronto 1 (Clegg). TRIPLES: Union Local 1 (Smolira); Toronto none. HOME RUNS: Union Local none; Toronto 1 (Karaffa). RBIs: Union Local (McCort, Hess 2, Smolira); Toronto (Chetock, Karaffa).